In 2011, 786 people died in Missouri traffic crashes; another 51,060 people were injured. The experienced St. Joseph car accident attorneys at Murphy, Taylor, Siemens & Elliott P.C., have over 100 years of combined experience and a proven track record of protecting the rights and economic futures of our clients. 17.3 percent of all Missouri traffic crashes were speed related in 2011. Over 26 percent of fatal accidents in 2011 involved someone drinking. 24.8 percent of all 2011 Missouri auto accidents involved at least one driver under 21, despite that age group making up only 9.3 percent of Missouri drivers. Almost one-third of all 2011 Missouri auto accidents involved drivers 55 or older. The obstructions and hazards of construction or other work zones are very dangerous. This kind of accident was involved in 1.4 percent of all Missouri auto accidents in 2011, causing 10 deaths and over 700 injuries. These days, drivers may be doing anything from eating to surfing the Internet to texting a friend. 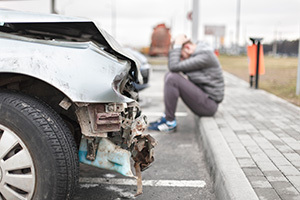 Accidents are simple in one sense — a crash causes injury or damage — but the legal rules that determine whether the victim gets compensated and the amount of compensation are often very complex. Legal time limits apply, and because it takes time to build a case and collect all the required evidence, it is important to begin the legal process by consulting an experienced personal injury attorney as soon after the accident as you can. Your attorney at Murphy, Taylor, Siemens & Elliott P.C. will investigate your case to determine who should be sued and on what grounds, and to pull together all the evidence necessary to present the harms and losses you have sustained. We love to take cases to trial and have been successful in trying a number of car accident cases. However, a trial is not always necessary because the parties can agree on a reasonable settlement. We have the experience and knowledge to help you negotiate a reasonable settlement. Insurance companies, even ones you have been dealing with for years, have different goals than you do, and the people who handle your claim will know a lot more about the laws than you will. That’s yet another reason to get your case to an attorney as early as possible — to level the playing field and give you a fair shot at a settlement that covers the full range of damages you have suffered. We understand that your goal is to be fairly compensated, not “win a lawsuit.” The attorneys at Murphy, Taylor, Siemens & Elliott P.C. have dealt with insurance companies and their attorneys for decades. We know them, and they know us and our track record. We will help you through the settlement negotiations by calling on our experience and knowledge to give you advice and help you decide whether the insurance company’s offer is reasonable. We know that it isn’t enough to represent “an accident victim.” We represent you, the whole, actual person who has been injured. The best way to do our job is to present the insurer, the person who caused your injury or the jury — with a real, complete person who has a real story that has been forever changed by another’s negligence. We truly care about our clients. We take the time to get to know them. We spend time with our clients and our clients’ families. We meet in our clients’ homes, visit the accident scene with them and listen to them until we learn who they are and how the accident has affected their lives. We return phone calls and answer emails, keeping you informed about the process of your case. Call today for a free consultation and protect your right to just compensation.